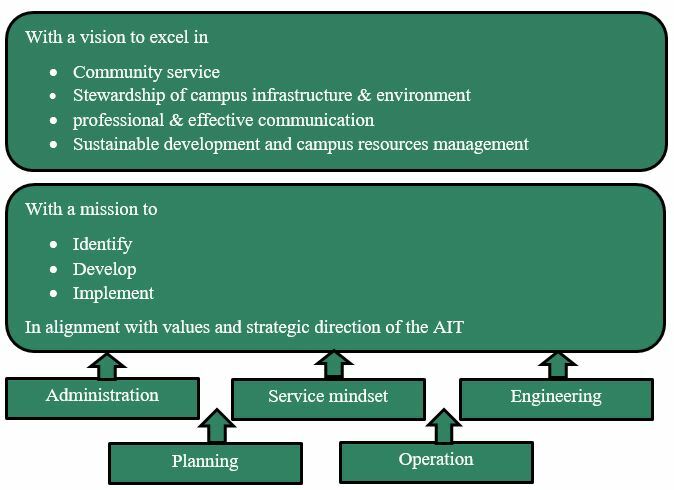 “An AIT’s Integrated Infrastructure Operation Management Unit”, manages the individual components of facilities as sub units, partially managed through “Service Providing Contracts”. OFAM was formed in July 2014, restructured from Contract Management Office. OFAM maintains the operation of all the individual components of facilities. 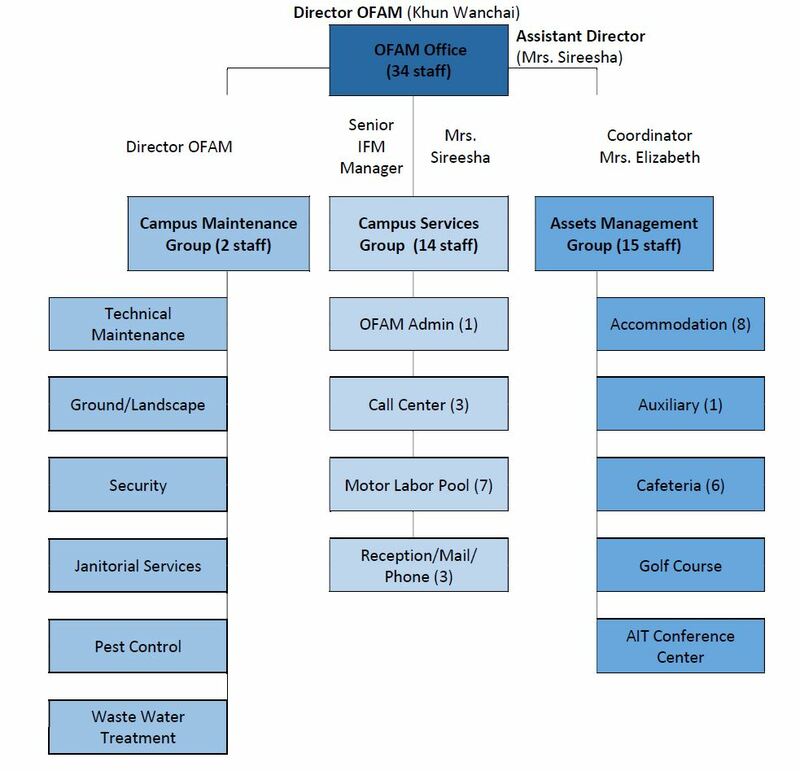 OFAM manages the maintenance, repair and operation of all the campus facilities such as academic and accommodation buildings, library, conference center, cafeteria and various other concessionaires, along with centralized and standalone air conditioning system etc.